What's the most exciting thing about this week, you say? Well, this is the week when Karan Johar's Kalank will finally hit the box office. The lead actors are busy promoting the movie as they gear up for the big release on Friday. From the actors dancing on Kalank's songs to Varun Dhawan picking up Alia Bhatt every chance he gets, the one thing that we absolutely love about the promotions is the candid interviews. In one of the recent interviews, Alia Bhatt accidentally referred to her Kalank co-actor Varun Dhawan as 'Ranbir'. 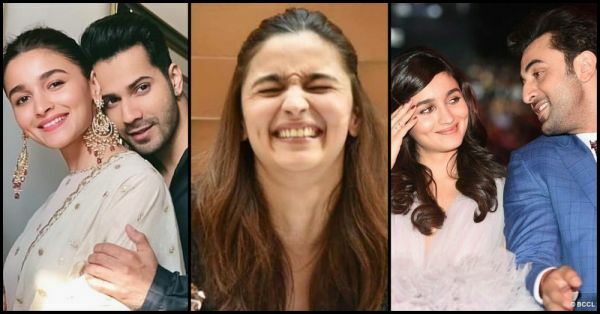 The cute video featuring an embarrassed Alia broke the internet and is now making the rounds on social media. While chatting with the host during the interview, Varun was pulling Alia's leg by constantly fiddling with her bun. A visibly irritable Alia shrugged and accidentally called him Ranbir, before quickly realising the slip of the tongue. "Ran...! Uh, Varun, don’t," she said, confusing Varun's name with her boyfriend's. Her co-stars, Sonakshi Sinha and Aditya Roy Kapoor, broke into a fit of laughter while Alia hid her face in embarrassment. Varun's playfulness probably reminded the actress of Ranbir's antics. 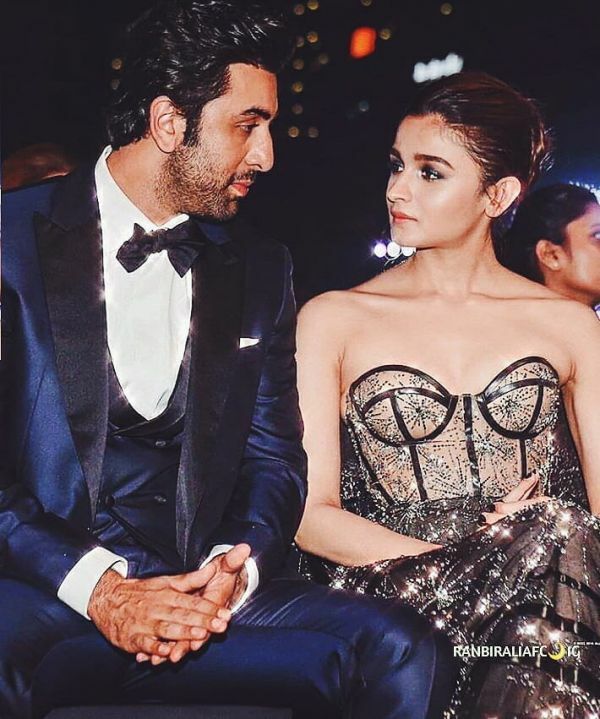 Alia Bhatt is clearly head over heels in love with Ranbir Kapoor. From slow dancing at an award show to sharing a hit-and-miss kiss at an event, Alia and Ranbir have had some cute PDA moments together. Alia has always been candid about her relationship and hasn't been afraid of expressing her love for Ranbir. The couple confirmed their relationship via numerous adorable gestures in public. Recently at an award show, while receiving Best Actress trophy for Raazi, Alia openly declared her love for Ranbir in her acceptance speech. She said, "Tonight is all about love; there, my special one, I love you." Similarly, when Ranbir was declared Best Actor, he kissed Alia before receiving the award. Alia, in a recent interview, got candid about her equation with Ranbir and said that she is in the best phase of her life: "It's not a relationship. It's a friendship. I'm saying this with all genuineness and honesty. It's beautiful. I'm walking on stars and clouds right now. The best part is that we're two individuals, who are living our own professional lives in its full form right now." 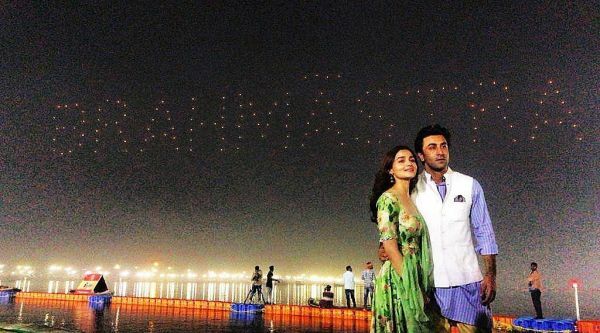 Ranbir and Alia fell in love with each other on the sets of their film Brahmastra. The actors will be sharing screen space for the very first time. The film is helmed by Ayan Mukerji and is being produced by Karan Johar. It also features Amitabh Bachchan, Dimple Kapadia and Mouni Roy in pivotal roles, and is slated for release in December 2019.